Let me be the first one to agree about penalizing those which are prejudicial to safety. If any motorist is found to be engaging in acts prejudicial to road safety then by all means, he deserves to be fined. Similar to the LED lights brouhaha a few years/months back, the LTO failed miserably to implement their directive. The reason is that they really never categorized the directive and just fired it shotgun. The Pinoys with their “basta makakalusot” mentality will exhaust all loopholes to circumvent any law. So it was a wasted exercise on the part of the LTO. I did opine that time, that without the law specifics, every motorist should just consider respect to other motorists as basis. “Alam mo naman kung nakaksilaw ka sa kasalubong e“. This time again, LED light bars were mentioned. How can this be unsafe if it is not turned on while driving on the roads? I agree, apprehend the guy who uses this on the road, fine him to kingdom come, confiscate his lights, etc. But turned off? Common LTO, you are not that stupid. Large tires, unless the tires are obviously not intended for road use, e.g. farm tractor tires, steel studded tires… then I see no safety violations here. If the LTO is focused on safety then apprehend all with balding tires, cheap China-made substandard tires, and cheap recapped tires. Yeah, most jeepneys are guilty of these violations. Do you even know which tires are usable on the street? Steel bumpers, the purpose of this part is safety against animal strikes, as it is common in Australia, and for winch mount. In the Philippines, it is about safety also. Safety from that wayward jeepney and truck who is “nawalan ng preno“. No need for me to install this as long as the LTO can assure me that the other motorists I share the roads with are qualified, their vehicles passed proper inspection from the authorities. I can tell you that only a small percentage of jeepney and truck drivers are really qualified. Proper vehicle inspection by the LTO is not done properly. Small motorcycles also abound which will ding and scratch your beloved ride at a stop light and leave you without even saying a word. You need proof of that? Dont be stupid LTO. I will take this safety matter into my own hands and drive with my steel bumpers, thank you. Unauthorized modifications, who authorizes? You, LTO? You cannot even implement an LED light directive properly. It seems you are clueless about the necessities of daily driving in the Philippines. Do recognize that most of us in the 4×4 community have very mild modifications such that if we intend to take our rigs on road and off road. We know what is a practical modification to safely drive our rigs off road and still be safe and drive-able on road. Competition rigs cannot be driven on roads, we know that, that is why they are brought to the competition on a flatbed trailer. If you want to know unauthorized modifications then just look at the jeepney, the tricycle, the kuliglig, etc. Those were modified by unknown welders in unknown shops all over the country. My modifications on the other hand use parts manufactured and tested in Australia done by their approved installer, so there. LTO, please, for the road safety, stop aiming at the 4×4 community, which is a low-hanging fruit. Easier to ticket those private owners, anyway huh? Get those dilapidated jeepneys, trucks, etc and their stupid drivers off our roads first. Apprehend those with blinking brake lights, multi colored corner lights, etc. Ticket those who do not know how to follow simple traffic rules and observe proper road courtesy. What you need is a clearly defined specifications in consultation with the 4×4 community and technical resource persons to get the proper information before the issuance of the directive. Let us all agree first on matters prejudicial to road safety, before you go shotgun apprehending everybody in the 4×4 community. Because we have the same objective, road safety. Next Article What happens NEXT after Filipinos #StopTheKillings? To let some, ordinary mechanics, who are not automotive engineers, and who have no concept of automotive designing, modify a motor vehicle is extremely dangerous. We got plenty of modified vehicles in the U.S. The difference is vehicles modified in the Philippines is absolutely unsafe like revised modified Philippine constitution & modified form of Philippine government. It is even unsafe and ludicrous for Filipinos practicing journalism like RAPPLER !!! Hey Hyden, we should meet up !!! I find you interesting. I am not gay. If you are straight we would make a good company. Filipino OFW slaves, cannot meet up with strangers, unless they are allowed by their slave masters. I don’t want to be whipped, or sold on the international slave auction blocks. Or worse face dire consequences. Runaway slaves are lynched. It is very interesting for you to give interest to a Filipino OFW slave ! These LTO personnel must have learned from the published reviews of incompetent car reviewers whose narrative of making a regular car look special can be the envy of snake oil salesmen. Hi, HT. I need to correct you on that one. Not all modifications are unsafe. Most modifications (as far as 4×4 daily used is concerned ) is towards safety, reliability and practicality. Although, there are some outliers. 2. road noise – so that the new owner will be satisfied of the NVH of the new car as they have published. 3. warranty – the tires should live up to few tens of thousands of kilometers as this would reflect on the makers car safety and reliability. Also the lift – to accommodate the tire change as above, some sort of lift is required. for us in the 4×4 community this is done in a manner which takes into careful consideration the center of gravity. The lower the center of gravity the better, but for the lift, compromises have to be considered. Hence this is done as little as possible just to accommodate the change in tires. Of course, again there are stupid outliers. Steel bumpers – when you have plastic OEM bumpers offroad (some offroad as a hobby using their daily driver and some out of sheer necessity if they are living in off the grid areas, more often than not, it will be scratched, dinged, and ripped off. Who wants to repair and replace their plastic bumpers every so often? Besides, being with no bumpers might get us apprehended by the LTO, etc. for a dilapidated vehicle. Lights – better lights is safer. Those SUVs who use offroad lights on the road are simply stupid or mayabang or both. Get this people penalized. But it does not mean that me having them, I am in violation of the law. In conclusion, the above 3 points should be properly regulated by the LTO. Our current set of laws is just not up to today’s standard as it was created during the time that horse-drawn carriages outnumber the cars. They cannot blanket implement that all modifications are not allowed. RA 4136 even allows all of them. The best solution is that they consult the 4×4 community on how to update and implement such laws for the common safety. Right now, there is just “my interpretation”and “your interpretation” and we argue about it on social media. You are talking of the exterior modifications, like the tires, the lights, and the bumpers. I am talking of the interior parts modification, like the engine parts, the electronic features, the safety bags, and other important design features, for the safety of the car. In the U.S., some of the Japanese imported cars, U.S. manufactured cars, European cars…are Recalled, because of safety issues. Like, airbags that do not perform; or rapid acceleration of the automotive vehicles. The CO2 exhaust can also be an issue. In our country, we are the Dumping Ground of unsafe second hand foreign cars. so, we have a lot of traffic accidents. Filipinos do not mind following traffic rules anyway ,..They do not mind dying in accidents, as long as they can have cars…”Pasta may ipasikat sa kapwa, kahit paktay” ! Filipinos love to modify exteriors … Filipino household I am invited in I see their living room is clean … just do not wander to their CR and kitchen … it makes anyone puke … of course, Filipinos love dirt and puke … they do not puke …. I hear Filipinos gather puke and make soup out of it …. they also gather jollibee chicken left-over from trash bin to remake and make over into something else and sell it …. to think they accuse Chinese of cooking cats and kittens in their dim sum houses ….. Regarding the change of the tires on the SUV, for lower center of gravity. It may work against the safety factor of the car. The SUV load is calculated to be carried by the tires. A larger diameter of the car tires, may carry a bigger load, and its RPM, that moves the SUV faster, with more power. The efficiency factor is affected here. It is the Automotive Design Engineers, that work on the safety features, maximum loading capacity, and the HorsePower ability. All these items are taken into consideration. So, it is not good to let ordinary mechanics modify SUVs or any motor vehicles. It is very dangerous. It is more dangerous, for the Philippines, to be a dumping ground of imported foreign cars/SUV that are destined for their scrap yards. As far as the Philippine 4×4 community is concerned, engine modifications are very minimal. Offraoding is a technical hobby, it is more about the skills of the driver rather than power. Hence we seldom have outrageous horsepower as it is not needed offroad. Maybe for a race rig, yes, but for a daily driven hobby horse, not so much. 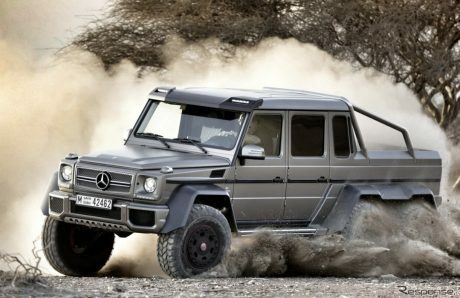 As I said, it must be practical for daily use while retaining its offroadability. Again except for some outliers. Also, safety features existing in an SUV remain intact, so no issues there. Let me also enlighten you that 4×4 parts also do come with exhaustive engineering, research and development. These brands get their quality control and government approval also (other countries, North America, and Australia for some). Hence, 4×4 parts do not come cheap. Most of the time standards for 4x4s exceed most OEM parts. Installation is done on shops accredited by the part maker. So what is the safety issue? Do not believe that hype that our country is dumping grounds for second hand and unsafe vehicles. That is so way back 90s. No more used JDM car auction in Subic. And even then, JDM cars and KDM cars exceed PHDM safety standards. If there are used unsafe vehicle from other countries it is because of the improperly done RHD to LHD conversions. If the government back then just kept their hands off the RHDs then it would be as safe as OEMs, but I digress. Safety issue came about because the government knew too much that you cant drive RHD in the Philippines so they required that it should be converted, and see where it got us? The guy who came up with that must have been dropped on his head when he was a baby. Do note that Australia is allowing lifted trucks up to 150 mm from OEM. Big tires are allowed as long as it does not go past the fender lines. And for the Philippines we come up with nothing. Just implement an outdated law, bahala na si batman. Even US allows modified rigs with specs, varying from state to state. So what does that show you? 4×4 mods are not at all unsafe and as such cannot be deemed illegal for road use. I do agree, that discipline as far as motoring is concerned is sorely lacking. But let me reiterate that the 4×4 community are some of the most courteous drivers on the road. Safety has become second nature to us as this hobby requires it. Though there are outliers na mayayabang, and I do hope they get their comeuppance. As a hobby, we know how to properly modify rigs. For tires, as you say, the OEM specs for the other parts must be taken into consideration and yes it is indeed. With bigger tires we do upgrade the diffs and axles. After all, we do not want to breakdown somewhere remote. It is upgraded to parts exceeding OEM design. The shops who do this are not your ordinary shops. (again some outliers who do 4×4 works for cheap, yun tipong makaporma at makapag yabang lang, por by porma!! but never go offroad) Yes here in the Philippines, specialized 4×4 shops! Matagal ka na yata jan sa abroad e. I would be happy to show you about 4×4 as hobby when you come back. For sure you will see it in a different light. As benig0 would say. Just accept your sacrifice for the “greater good”. After all the Philippines is poor because of chi-chi millennials in Starbucks. No Starbucks for them. No modified SUV for you. I know , we Filipinos think, we know more than the first world industrialized countries. I have that thinking also of “Pinoy Pride” . However, as I was introduced to advanced technologies of industrialized countries. I saw our country, is 2 centuries behind in Science and Technology. For the sake of our Filipino consumers. These “Chop Shop” motor vehicles are very dangerous on the road. It is a danger to all ! Filipinos criticize my fashion taste. It’s comical that you are guilty of your own same accusations! Even stupid crazy without realizing it! Yes TROLLatio, it does! Especially when your tunnel vision directs you to see only your side of the truth… your truth. As an American, living here in the Philippines, it’s quite obvious that you still embrace the belief in your Manifest Destiny which is nothing more than American Imperialism by another name! @Redford … Your being American is an embarassment to Americans …. Lookit, yo, It is not AMERICAN IMPERIALISM … whatever however you call culled it …. Where did I say we know more than first world? This is not about pinoy pride. Again this is about how imbecilic the LTO is at implementing an outdated law. And again, these are proper shops, not your friendly neighborhood mekaniko, chop shops. These are big time establishments in a multi million peso industry. Theys carry brands from your “first world” which are way more expensive than OEMs, hence the hobby requires a lot of disposable income. You haven’t come across 4×4 aftermarket shop in your “first world”, then you are not seeing enough. Chop shops do not have the ability to modify 4x4s, maybe good for jeepneys and tricycles only as we require severe service duty of a 4×4 rig. Or the logic flies above your head? I have known the auto industry for several years. If the Brand name modification ; is done by the car manufacturer, then, it is okay. However, if it is done by chop shops or neighborhood mechanics. It is very dangerous. There are no safety check ups for second hand cars sold to customers. The LTO ha no policy on second hand cars sold. Modification cost a lot. The LTO does not have technical expertise to understand the vital functions of cars. All they know is to renew your license. What about modified Filipinos !!! Those that are the result of cross-breeding of Filipinos and Americans that result in half-white half-brown hybrid Filipino Fake-American beauties that brown Filipinos wanted to be. Modified crossed-bred Filipinos are better because they have that confidence because they do not look like the corrupt brown-skin Filipinos nor speak their language. They speak American English. Filipinos eat :”Pag Pag”, or foods that come out from the trash. Homeless People in New York City and other cities in the U.S., eat also leftover foods from the trash bins. The point here is , if Filipinos accept the , “Pag Pag” foods as ordinary food. And that people eating “Pag Pag ” foods are just okay . It is near election time. I would like those candidates for public offices to try the , “Pag Pag” foods. To experience how the poor in our country are surviving ! Duterte eat “pag-pag”? If not, pag-pag-eating voters should not vote for Duterte ..
A small knowledge is like a cheap shotgun – likely to do as much damage to the owner as to the game.